Thank you for taking the time to consider The Cow Palace Inn as your next destination. We appreciate the patronage of all our customers and will work hard to make sure that your visit here is top-notch. Our award winning staff aims to please. Please fill out the form below to leave a message with management…yes management. We’ll make sure your voice is heard and consider your comments and feedback on your stay or events held with us. 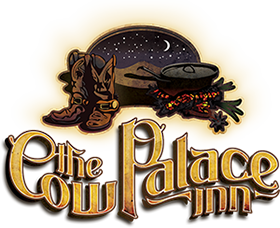 Thank you for being part of The Cow Palace Inn. We would love to hear from you! Please fill out this form so that we know how to serve you better. Please take a moment to write your comments and let us know what we can do to improve your experience the next time you stay with us.